Late Registrations: A $25 fee per participant will be charged for registrations received after June 14, 2018. If you have questions, please contact Michelle Ketelsen at ketelsenm@ihaonline.org. Hospital leaders, CNOs, human resources directors, health care providers and any other supervisory or public-facing hospital staff members. Iowa hospitals are committed to serving their communities in countless ways and ensuring all patients receive access to high-quality care. This conference is designed for health care leaders and practitioners to better understand how to care for the lesbian, gay, bisexual, transgender, queer/questioning (LGBTQ) community from a public and patient perspective and also as employers of a diverse workforce. This day-long workshop is facilitated in a non-accusatory manner so all participants feel comfortable as they begin to learn or deepen their understanding of LGBTQ issues. Many health care professionals might not feel comfortable with the language or their own level of understanding how to be lesbian, gay, bisexual, transgender, queer/questioning (LGBTQ) inclusive. This Safe Zone training will give participants a deeper familiarity and comfort with vocabulary and inclusive practices and will help identify ways hospitals can continue to be safe and welcoming environments for the LGBTQ community. This workshop introduces basic LGBTQ terminology and concepts, fosters an understanding of experiences and brings an overall awareness of LGBTQ issues, especially as they relate to health care. Participants will learn specific, applicable skills to create a safe and welcoming environment for patients and staff. Define LGBTQ terminology and concepts. Give examples of issues affecting the LGBTQ community. Demonstrate three specific skills used to create safe and welcoming environments. Apply skills to individual’s health care environment. 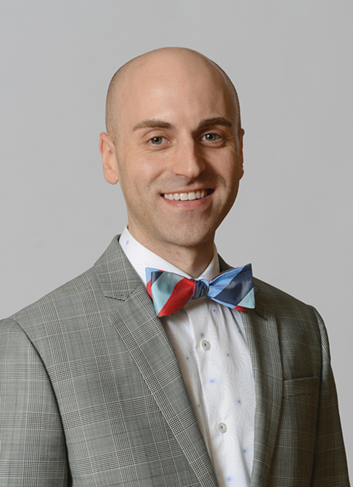 Daniel Hoffman-Zinnel, EdD has served as the executive director of One Iowa since January 2017. He is also adjunct faculty at Iowa Central Community College and Des Moines University and a respite provider through Lutheran Services in Iowa. He has more than 10 years of nonprofit experience working with the LGBTQ community, migrant and seasonal farmworkers, the Latino community and individuals with disabilities. Dr. Hoffman-Zinnel earned a doctorate of education in leadership from Creighton University. His doctoral work includes a dissertation titled Resilient Leadership: A Case Study About a Gay Man’s Journey of Coming Out and Running for Public Office. He also earned a master’s degree in health studies from the University of Alabama, a bachelor’s degree in liberal arts with sociology and psychology minors from Grand View University and an associate’s degree from Iowa Central Community College. Dr. Hoffman-Zinnel has received the Des Moines Business Record’s Forty Under 40 award, the Karen Packer Spirit of Collaboration Award at the Iowa Cancer Summit and has completed the Greater Des Moines Leadership Institute’s Community Leadership Program. Relevant to the content of this CME activity, Dr. Hoffman-Zinnel indicated he has no financial relationships with commercial interest companies to disclose. IHA has an official discounted corporate rate at the listed hotels that attendees can use for overnight accommodations if needed. The discounted rate is being offered to Select one event attendees on a “non-last room” availability, meaning that there are times when this rate will not be available to book due to high demand in the area so it is important to book early if you think you may need arrangements. When calling, please reference the corporate ID. DO: Des Moines University (DMU) is accredited by the American Osteopathic Association (AOA) to provide osteopathic continuing medical education for physicians. DMU designates this program for a maximum of 6.0 AOA Category 2-A credits and will report CME and specialty credits commensurate with the extent of the physician’s participation in this activity. MD: This activity has been planned and implemented in accordance with the accreditation requirements and policies of the Iowa Medical Society (IMS) through the joint providership of Des Moines University (DMU) and the Iowa Hospital Association. DMU is accredited by IMS to provide continuing medical education for physicians. DMU designates this live activity for a maximum of 6.0 AMA PRA Category 1 Credit(s)TM. Physicians should claim only the credit commensurate with the extent of their participation in the activity. Other: This live activity is designated for 6.0 AMA PRA Category 1 Credit(s)TM. If registering by mail attach a copy of the registration form when payment is sent. Cancellations and substitutions welcome anytime. All cancellations and substitution requests must be sent to Ellen Waller at iharegistration@ihaonline.org. A full refund will be given to all cancellations received 10 or more business days prior to the conference. A $50 administrative fee will be charged to all cancellations received six to nine business days prior to the conference. No refunds will be given to cancellations received five or fewer business days prior to the conference. Refunds will be calculated by the date received and the IHA business days remaining prior to the conference. IHA reserves the right to cancel the conference due to insufficient enrollment, in which case pre-registered participants will be notified and full refunds provided.